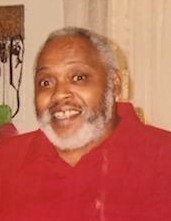 Gus "Gusto" Whitney, 61, passed away April 5, 2019. He was born to the union of Walter and Opal Lee Brown-Whitney on March 20, 1958 in Pueblo, CO. Gus was the ninth child of eleven. Gus was an extraordinary son, brother, uncle and great uncle. Gus attended and gradated from South High School in 1976. Upon graduation he enlisted into the Job Corps to strengthen his leadership skills. Upon completion of his courses of studies, he returned to Pueblo, CO for a brief time before relocation to the big "D" in the Spring of 1985. Moving in with his sister Ola. Gus held down a variety of jobs, his last being Kwal paint. Gus was a dedicated uncle and great uncle, but he had his favorites LaShawn, Carla, Jackie, Michileen and Shaylene. Gus lived his truth, you could always take him at his word. His truth and his wisdom went a long way. Gus is preceded in death by both parents, Walter and Opal, brothers; Walter Jr. and Jessie; sisters, Ruby and Ola (his caregiver) and nephew, Torrance. Gus leaves behind to cherish his memories; sisters, Delores (James) Sanford, of Pueblo, CO, Virginia (John) Greene, of Norfolk, VA., Annette Whitney-Walker of Leander, TX., Charlotte Whitney of Pueblo, CO., Sharon Whitney of Orlando, FL and brother, David Whitney of Pueblo, CO; host of nieces, nephews, great nieces, cousins and other relatives and friends who will miss him dearly. Celebration of Gus's Life at 1 pm, Saturday at Bethlehem Missionary Baptist Church 1044 Spruce St, Pueblo, CO 81004.